Many designers are familiar with the practice of monetizing engagement. For companies offering free to consumer products, this is their business model. We’ve written about some of the problems with this design focus on InVision’s blog before. Rather than flogging the same old horse, we’ll state quickly that we don’t agree with this practice. It limits value and tends to be driven by the metrics of success tied to outdated business models (i.e consumers are the product). Our solution to this dated problem is to discover, design and validate value propositions that deliver value, meaning and engagement to the human beings we aim to serve. This methodology, something we’ve dubbed ‘3 Pillar Design’, enables us to quantify the value, meaning and engagement of a given value proposition. Insights from this exercise enable us to transform and competitively differentiate product and service offerings. Here’s a quick introduction to the 3 pillars. Today we’re going to focus on engagement. Or rather, how human beings are far more susceptible to commercial offers when they’re having fun. How this story starts is that Bianca and I recently spent a couple of weeks in New York. New York, as many of you know, is an incredible city. Very little you see, hear or experience whilst visiting comes as a surprise. In #NYC, everything is fair game. 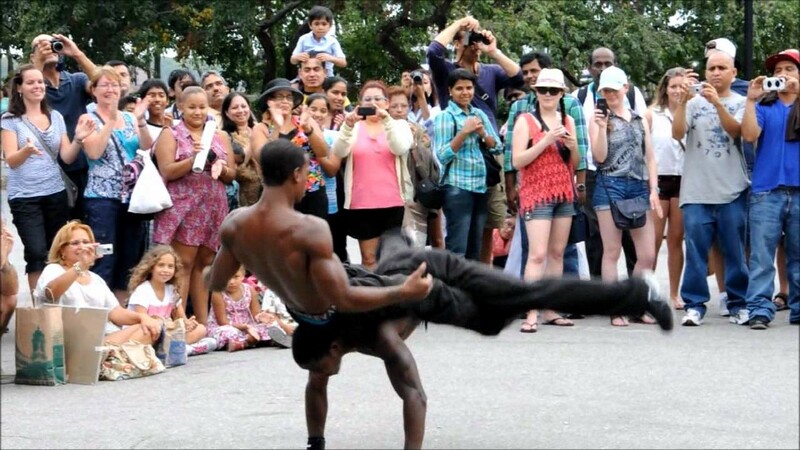 We innocently stumbled across a group of young street performers one afternoon in Washington Square. These guys had what you might consider swagger. There was an aura surrounding them that captured your peripheries. Shortly after you’re peripheries were taken, their act came into full view. We were captivated by the group known as The Positive Brothers. After acting like an innocent bystander for the best part of two minutes, fortunately or unfortunately, I was selected to take part in the act. I’m not sure why, but this has happened a number of times recently. The short video below documents my journey, along with some of the key lessons we learned from these talented young men. *Note: The Positive Brothers gave the crowd their explicit consent to film this performance. Build suspense: From years of motivational psychology research we know that variability, or the unknown, increases motivation. By introducing the unknown at strategic intervals, perception of ‘fun’ increases. The Positive Brothers (Pos Bros) really nailed this. This helped them get, keep and grow their audience. As they did this, their monetization potential progressively increased. Be human: Most people deeply value human relationships. And although brand relationships aren’t quite the same, humanizing experiences makes a difference. The Pos Bros not only humanized their show by personally engaging with the audience, they introduced perfectly timed elements of humour, and backed this up with strong ethical statements that resonated with their audience. This increased their likability. Increasing their likability maximised the likelihood people dropped some cash in their bag before walking away. Fear drives action: Attitudinally, many people express their fear of speaking in public to be greater than their fear of death. Well, performing in a public is likely similar. The Positive Brothers gave selected participants the opportunity to buy their way out of the performance. In doing this, they tapped into people’s fear. Marketers use loss aversion tactics to drive similar action. The beauty of The Pos Bros approach was that they utilised fear as a motivator in a fun and inclusive way. This is hard to do, so hats off to them for executing this tactic so flawlessly. If you’re going to use fear to drive action, be contextual, be careful and be ethical. Always be closing: Glengarry Glen Ross made this little statement a go to for commercial leaders. The best designers are commercial leaders. They deliver human outcomes that drive business value. The way The Pos Bros designed their show gave them the perfect opportunity to always be closing. They even explicitly stated their objective, shouting, “Obama wanted change. We want twenties!” The crowd loved this. They took us, and the rest of the crowd on a journey. This shared journey prepared us to open our hearts, minds and wallets. Even though Bianca and I didn’t express explicit intent to hire street performers (in JTBD language) for the afternoon, these young men successfully engaged our senses, filled us with laughs and left us with a story to tell our friends and family. They nailed the third pillar — engagement. We learned so much from the half hour we spent with them. We feel these lessons are directly applicable to our design process. We hope they are for you too.